Nootropics, also known as cognitive enhancers, brain enhancers, memory enhancers, or simply as smart drugs, are increasingly common in people looking to optimize their performance. They come in the form of supplements, nutritional pharmaceuticals, drugs, and functional foods. This is an in depth look at the benefits, risks, and methods of improving brain function. There is a large variety of nootropics, and depending on the compound there are different effects they will have on the body. Some work to increase the amount of oxygen that travels to the brain, others deal with neurotransmitter availability, and others effect neurotrophic factors. These are just some of the potential ways nootropics can alter brain function. Most biohackers who experiment with nootropics require a “stack” of compounds to balance out the effects. A nootropic will target one or more factors in brain function. This can result in several side effects. Manipulating the brain is serious. You only have one brain, so be careful when you play with it. Nootropics have become quite common in the biohacking world. People are looking to optimize not only their physical performance but also their mental functioning. In general, people are looking for increased clarity, memory, focus, drive, or the ability to communicate. In theory, it is amazing. Who doesn’t want to perform better? To clarify, smart drugs don’t actually make you smarter. They simply help enhance your preexisting abilities. Nootropics won’t flood your brain with new information, but they may help you experience clearer recollection, and may help to process new information. While it may resemble the smart drugs Bradley Cooper took in Limitless (2011), it is far from it. Nootropics have their limits, and should not be relied on to be able to perform. There are many ways you can boost your mental performance before jumping into smart drugs. Most nootropics are intense and are not right for everyone. While some may want to try these smart drugs and experiment with their body, it is safer to improve your brain functioning at a more natural level. If you’re looking to enhance your cognitive performance the first three things you should look at are diet, exercise, and sleep. Sleep is an obvious way to enhance your cognitive function. Unfortunately, we often neglect to respect our brain’s need for rest. There are so many things to do in the day. It would be a lot easier to be able to push through, spend more hours awake, and get more done. This is the mentality of a lot of biohackers using nootropics. They use stimulants to keep them alert and going, for long periods of time. While this is possible to achieve with nootropics, it isn’t natural, and not healthy. Our brains need rest. The more you push your brain, the more stress it undergoes. A brain that is over-tired will not perform as well. Getting a good night’s sleep on a consistent basis is a must. It is important not to oversleep either. Seven to eight hours of sleep is recommended for adults. It can be a little more or less for some individuals, but in general, this is the amount of sleep that produces the best results in most adults. There is a recommended amount of sleep for a reason. You can function on less probably, but does that mean you are at your peak under these low sleep conditions? 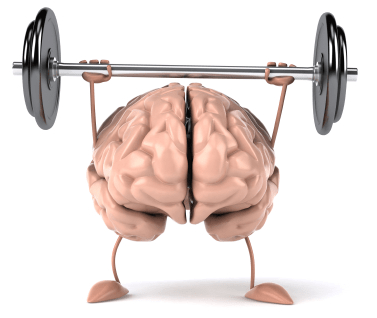 Exercise is another important factor for brain function. Being active gets the blood flowing, bringing oxygen to the brain. It increases the amount of neurotransmitters in the brain. It helps your brain deal with stress throughout the day. It helps you retain information, and improves your reaction time. Get active. It doesn’t need to be intense, but being active for 15-20 minutes a day could significantly improve cognitive function. We often talk about food being bad for our heart, our glucose levels, our liver, or our weight, but we rarely talk about food being bad for our brain. You hear things like fish is good for the brain, but you don’t hear people saying, “oh these fries are going to slow down my brain all afternoon.” We need to start accepting that the food you eat affects your brain’s ability to perform. Much of our food today is filled with toxins. There are so many chemicals in our food. Processed food is riddled with preservatives, colour, and flavour. These toxins downgrade our brain. While you may want to take nootropics to upgrade your brain, you should start by taking out the foods that suppress and slow your cognitive function. Instead fill your diet with good colourful vegetables, good meat, and some fruit. When you put your hand on a hot stove, you pull it off as fast as physically possible. Just because you don’t see the danger in unhealthy food, doesn’t mean it isn’t dangerous. You can also train your brain. This isn’t exactly a nootropic, but there are mixed reviews about how brain training can improve cognitive function. Game-based sites like Lumosity exist as a way to help people challenge and work their brain. The theory of this is that the more you’re using your brain, the easier it is to use in day-to-day life. It is a way to exercise your brain, similarly to how you would work to build muscle elsewhere in your body. Again, once you get your diet in check, you don’t necessarily need to jump straight to smart drugs. You can supplement your diet with vitamins, minerals, and good fats that boost brain function. The best supplement to start with is a good fish or krill oil. You’ll want a good mix of EPA and DHA mixed with astaxanthin. By boosting your omega-3 levels you’ll be boosting your brain health. Most people are getting significantly higher omega-6 than omega-3, and this can cause inflammation and stress. It is hard to talk specifics about nootropics because it is such a broad topic. There are so many drugs and supplements that fit under this umbrella term. Not all nootropics are bad, but a lot are very questionable and potentially lethal. Here are some of the more common and well-tolerated nootropics. Creatine is normally thought of as a supplement used by athletes for high-intensity workouts, and building a lean body mass. It also has many possible benefits for the brain. Creatine is a molecule that has neuroprotective properties. Its main job is to store energy, so that during high-stress moments, the energy is released to help cellular function. Creatine is generally considered safe. It has many neurological benefits, including depression resistance, and cognitive performance following sleep deprivation and heavy stress. Noopept is a synthetic nootropic. It is the brand name of N-phenylacetyl-L-prolylglycine ethyl ester. Supplementing with Noopept can provide a mild cognitive boost, and an increased mental alertness and awareness. One study found Noopept to show significantly stronger cognitive improvement over Piracetam (a fairly ineffective, but popular nootropic). Modafinil is a stimulant, normally used in the treatment of narcolepsy, but is also used by biohackers to boost cognitive performance. It increases the amount of stimulatory neurotransmitters in the brain. It improves working memory, improves ADHD symptoms, and improves mood and cognitive effects. L-theanine is an amino acid that has a relaxing effect. It is often paired with caffeine, and other stimulants, to take the edge off. While it takes the harshness off of stimulants, it doesn’t have such a strong sedative property that it puts you to sleep. Caffeine is a stimulant that helps improve endurance. It is a nootropic because it affects the neurons, and stimulates the brain. Caffeine causes alertness and wakefulness, which is what makes coffee such a popular morning beverage. It can help with both physical and cognitive performance. There is a huge risk testing out new stacks. There is so little research on this already, especially long-term research. Most of the stacks out there are created by people testing them on themselves. Different compounds are going to have different reactions in different people. The more you add to your stack, the greater the risk. Children and young adults should avoid nootropics as their brain is still developing. The brain isn’t considered fully developed until you’re 25. An increase in neurotransmitters can have many positive benefits in the short term, but there are also dangerous possible side effects. Depression and anxiety are just some of the possible outcomes from using nootropics regularly. An important thing to note when experimenting with nootropics is that they can affect other medications you are on. If you are on any prescribed medication you should talk to your doctor before adding any supplements or drugs into your diet. Functional foods are foods that are enhanced with bioactive properties. These are another form of nootropics. Typically they are packed with more vitamins and minerals, antioxidants, prebiotics, or other important nutrients. These foods aren’t necessarily all bad, but anytime you’re modifying a food there should be a small red flag going up in your head. 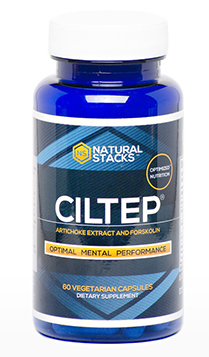 CILTEP is one of the most popular nootropics on the market at the moment. It is being used and praised by infamous biohackers like Tim Ferriss, and Dave Asprey. Champion poker players, athletes, and even the World Memory Champion, Mattias Ribbing, use it. It was developed and tested by Abelard Lindsay, who used a LongeCity forum to discuss different nootropics and come up with his ideal stack. The ingredients in the stack are “natural,” meaning that they can be found in plant and in nature. They are not synthetically engineered. However, you wouldn’t find the same levels of most of these compounds naturally in food. It needs to be in an extract form to get any sort of use. The luteolin in the artichoke extract is a PDE4 inhibitor, which means that it allows more cAMP (cyclic adenosine monophosphate) to reach transmitters. These are messengers for the brain. The forskohlii raise cAMP levels, meaning that more messengers are going to your brain. Heightened cAMP levels result in heightened brain activity, memory, and more. The other ingredients are for dopamine metabolism support. Many people have also reported adding caffeine to the stack to be beneficial for wakefulness and to feel fully stimulated through the day. This nootropic has some big names promoting it, but it still has very mixed reviews. Many people, like Jim Hudson in the below video, have found CILTEP to be incredibly effective, and life-changing. However many have reported minimal to no noticeable effects. Forums, similar to the one that helped create CILTEP, have also found flaws in the stack and possible ways to improve it. One thing to keep in mind when taking any sort of supplement/drug, you can, and likely will build up a tolerance. Our bodies are smart. They learn to adapt. If you maintain the exact same supplemental regimen day in and day out your body will likely adjust to expect these supplements. This can cause less significant effects from these supplements, and can even cause dependence in some cases. Most nootropics don’t recommend that you take them on a daily, continuous basis. Nootropics are a risky business. There can be major benefits, but there are also many possible side effects. We all want to improve our cognitive function, get more done, and perform at a higher level. Just remember that your brain wasn’t meant to be overly stimulated for long periods of time. It needs rest, and it needs a healthy diet. If you keep that in mind you should see marked improvements. Disclaimer: Nootropics are not good whole foods. While there are nootropics made from natural ingredients, they are extracts and should be treated like a supplemental drug, not as a food. There is little science on the long-term effects of most nootropics. Consult a physician if you are going to experiment with nootropics to discuss possible risks. I have been looking at nootropics for a while now, as I am starting to notice that sometimes I cannot recall certain words that I want to use in communication. I have been considering some nootropics that I found that contain other supplements such as adrafinil, sulbutiamine, noopept and alpha GPC. In reading the post I am concerned that these supplements may be too hard on my brain. I was wondering if anyone has any experience using any of these, or if there are others that have been proven safe to take.